Srinagar, January 17: Coming forward, extending the hand of help and support, J&K governor Satya Pal Malik vowed to build bridges between Raj Bhawan and Hurriyat. The governor reached out to the separatist leaders urging them to apprise him directly of the cases of “atrocity and injustice” to common people that they may come across. Maintaining his stance on opening doors for all, the governor promised to take the complaints of Hurriyat in due urgency and help them solve their issues and atrocities like other people. In his first-ever statement aimed at building bridges between Hurriyat leaders and the Raj Bhawan, Malik also expressed hope that “at some level, there will be talks too with them at some time”. 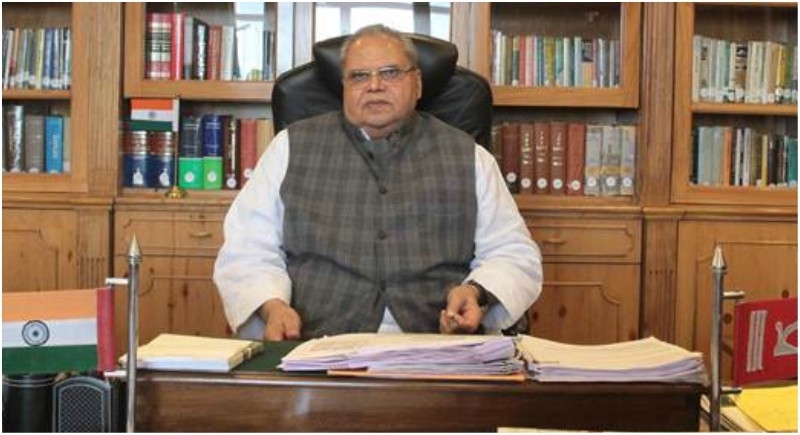 Explaining that he has always been hearing out the people of Jammu and Kashmir, governor Malik said that he even often sends officials from Raj Bhawan to collect the complaints of aggrieved individuals, even if they may not be so pressing or urgent. The governor further emphasized that in his dealings, his opinion is based not merely on official briefings but on narratives of the common people as well. So if the Hurriyat community has any complaint surfaced on atrocities on them or any other matter, the governor urges them to come forward. It has been notified that the Hurriyat meeting with Deputy Prime Minister Lal Kishen Advani in 2004, the offer for Round Table discussions by Prime Minister Manmohan Singh over two years from 2005 to 2006 and the latest statement by Home Minister Rajnath Singh expressing readiness to talk to those who may not necessarily be like-minded has been looked upon as a helping hand towards progress and growth to pacify situations.